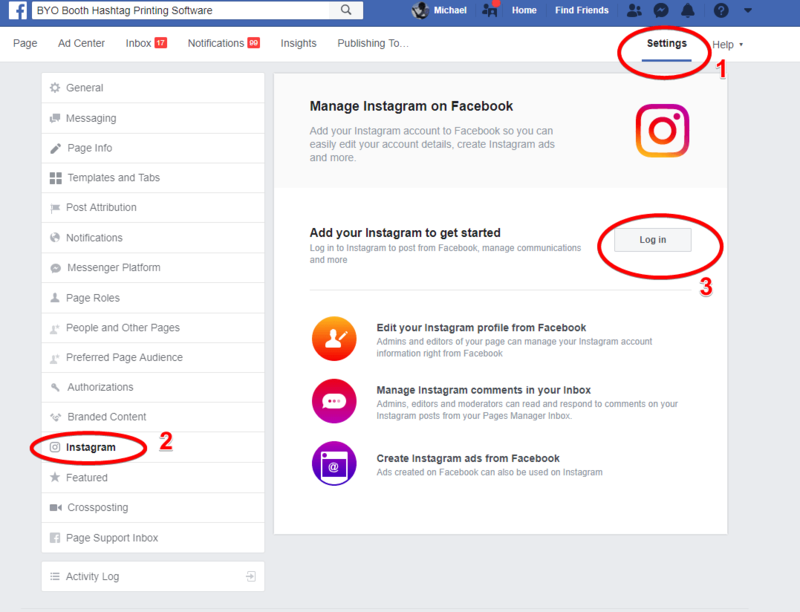 On December 11, 2018 Facebook is depreciating the old Instagram API and replacing it with a new one. Our App has been approved by Facebook and BYO Booth has been updated to work with the new API. - You MUST update to BYO Booth version 2.6.1 or greater in order to download photos from Instagram. - You will also need to login to a Facebook account in BYO Booth instead of an Instagram account. - This Facebook account must be the adminstrator of a Facebook page and this page must be linked to an Instagram Business account.